Restaurant City carries hand-chosen commercial kitchen equipment and supplies, including refrigerators, ovens, merchandising displays, and more. 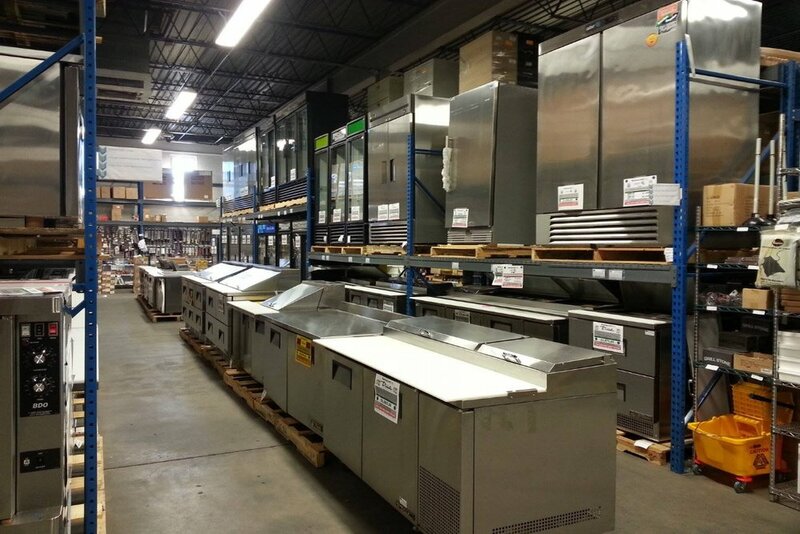 As a top-notch wholesale restaurant supply store, Restaurant City provides the most comprehensive assortment of commercial kitchen equipment at the most competitive wholesale prices. Located in South Hackensack, NJ, Providence, RI, and Waterbury, CT, our restaurant equipment warehouses provide specialized services to food industry professionals looking for high-end, commercial-grade kitchen solutions. These options include refrigerators, freezers, high-speed ovens, merchandisers, mixers, and more. In addition to being a wholesale restaurant supply store, we are also a leading resource within the industry and can offer expert professional insight into every item in our inventory. Our experts will help you pick the piece of equipment that’s best for your unique situation, and we will provide it at an unmatched price. Visit one of our restaurant equipment warehouses today to find supplies and equipment that will increase the speed and efficiency of your commercial kitchen. Restaurant City is the one-stop shop for all your restaurant supply and equipment needs. We have the lowest wholesale prices anywhere, a huge selection of inventory in stock, and a helpful, knowledgeable staff.